Close-range photogrammetry for mapping vegetation density and leaf surface patterns. This is part of a series of tests to create near range object point clouds with very high point densities. The advantage of near range analysis is the simple and direct measurement of reference distances within the plant structure and the potential depth validation of the resulting model – esp. how deep does the model penetrate the 3D sub-structures … . The transfer and scaling to larger modeling scenarios from a copter platform is difficult as the depth of field is not generated from focus stacking and distance to objects and shot overlap is not controlled in the same way. In order to achieve good depth of field, the object illumination and focus stacking techniques are critical. Focus stacking is a prerequisite in order to get high resolution and diffraction unlimited sharp image data for precise image matching and structure from motion details. 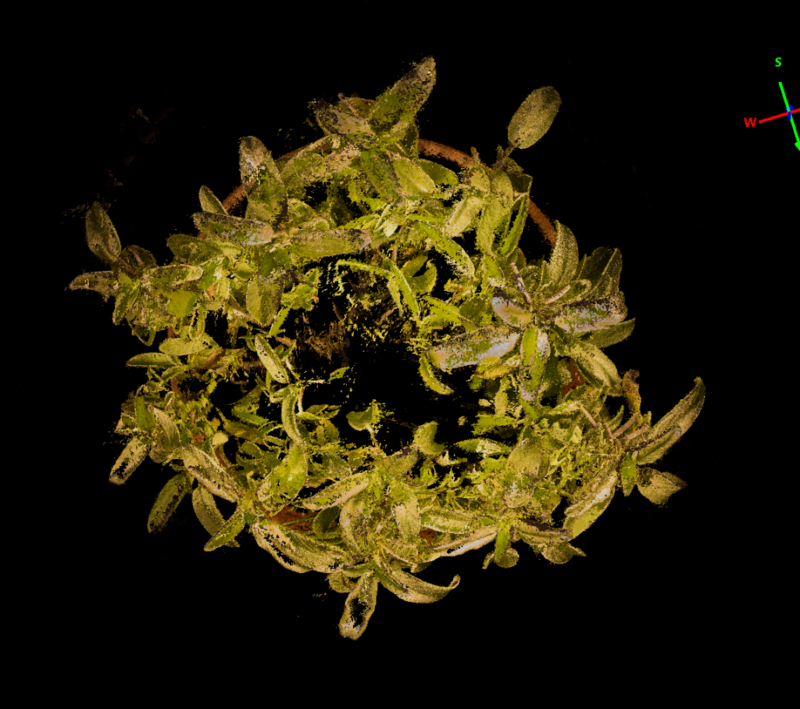 Close-range plant surface texture photogrammetry of a 35x35cm plant (Salvia officinalis) using 50 Nikon D800 36MP shots in two different perspective levels in full resolution mode (36MP uncompressed JPEGs). 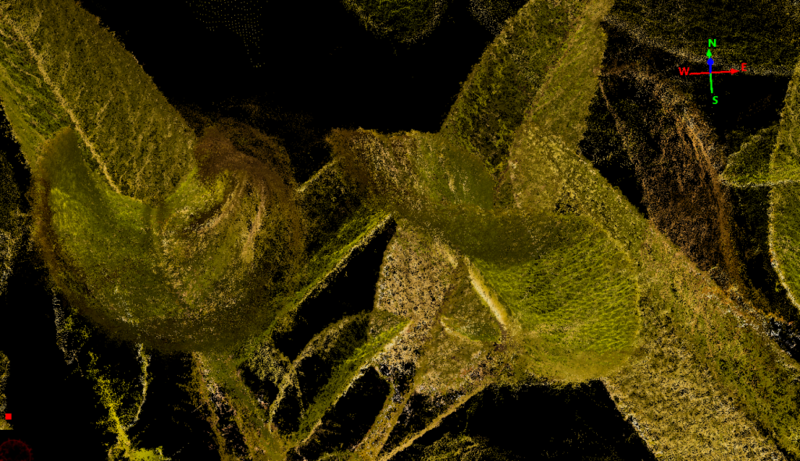 UHR dense point cloud mapping with 80Mio points (mild depth filtering). The close range animation starts up from 1:20 min. Technical details: Nikon D800, NEF uncompressed 16Bit, ISO200, Micro-Nikkor AFS VR 105mm f2.8G @f8, CA and lens profile corrected in Adobe LR, 3x focus stacked with Helicon Focus ProUL , diffuse illumination with Avenger supported Lastolite Ezybox Speedlite 60×60).